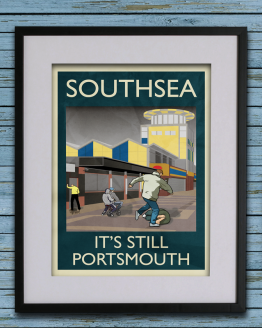 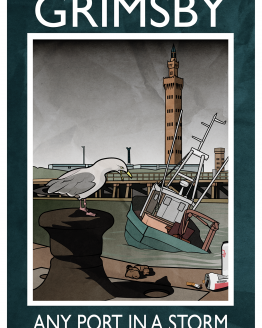 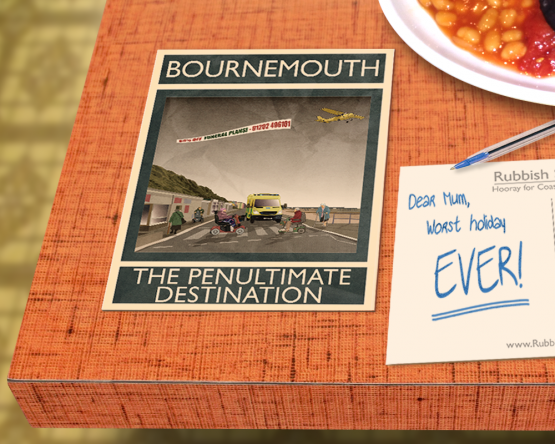 ‘Bournemouth – The Penultimate Destination’ Rubbish Seaside A6 postcard on 300gsm. 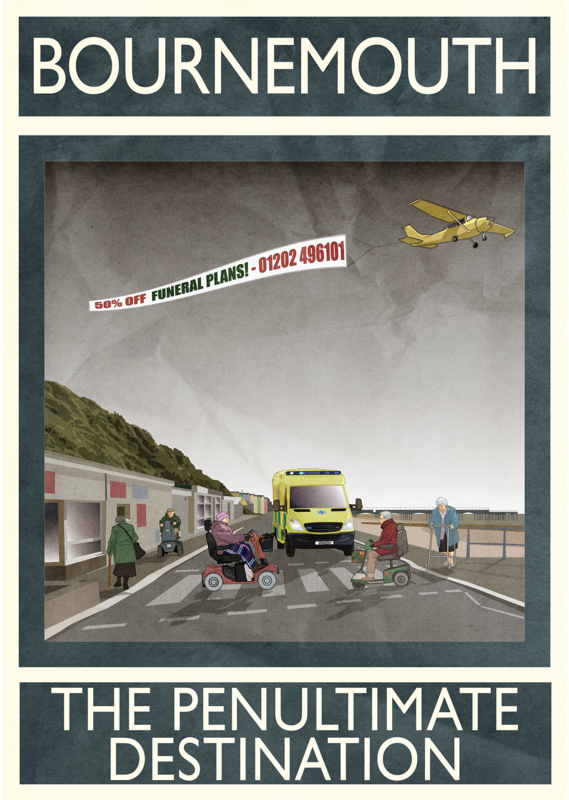 The soft twittering of birds and the gentle lapping of the sea, interrupted only by the occasional hum of a mobility scooter. It can only be Bournemouth: the penultimate destination. 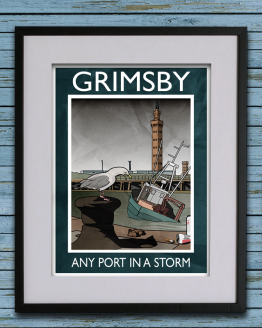 Printed on 300gsm recycled heavyweight white board and signed + dated by the artist, this A3 Rubbish Seaside print is an ideal way to settle some scores for ruined summers and dashed childhood dreams. 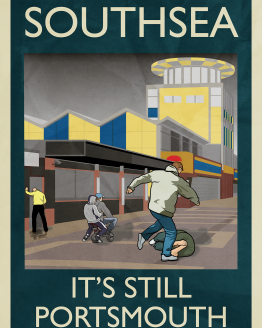 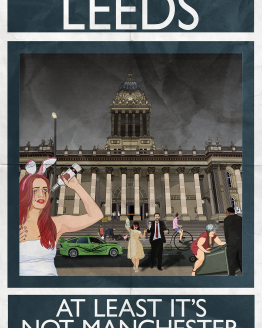 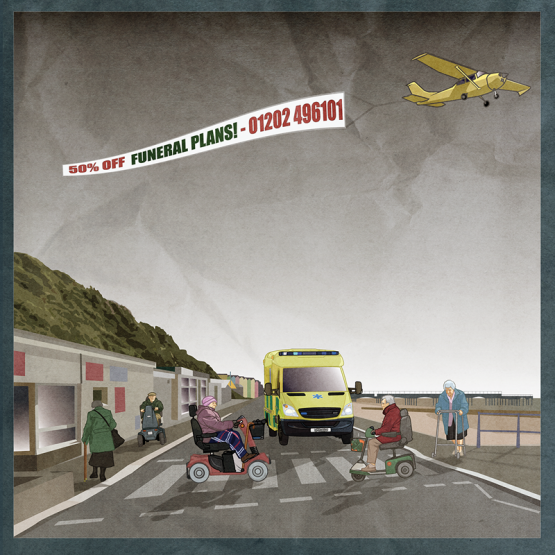 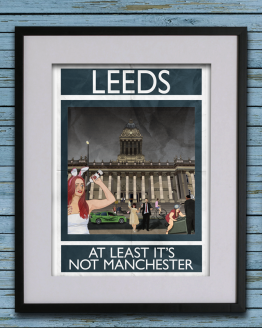 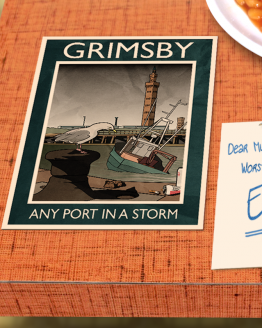 Printed on 330gsm card, this A6 Rubbish Seaside postcard is an ideal way to settle some scores for ruined summers and dashed childhood dreams.